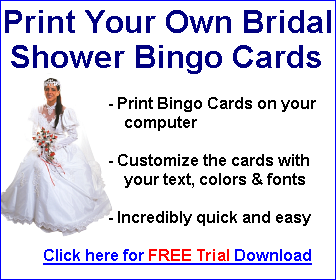 You earn 50% (after credit card processing fees and any applicable taxes) of the each copy of the Bingo Card Printer software that you help us sell - based on our current prices - that's between approximately about $11.96 and $45.73 for every single sale! Yes you read that right: You can earn over $45 from a single sale! There is no limit. The more copies of the software that you help us sell, the more you earn. Question: Can I use spam to promote your product? Please do not spam. It is anti-social, and may be illegal in some jurisdictions. Furthermore, if you do spam, ClickBank may terminate your affiliate account without payment. Yes, we have many, and are working on adding more. Sales of Answers 2000 Limited products will appear with the publisher as wildcom or wildcom2 or wildcom3. 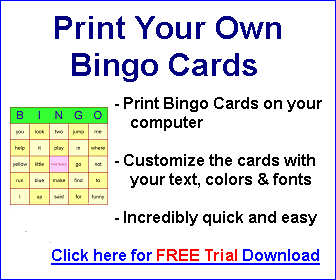 Bingo Card Printer appears under wildcom2. IMPORTANT: If you use the second type of link (the hop link) you must leave pn=32 in the URL or users will be sent to another one of our product pages. 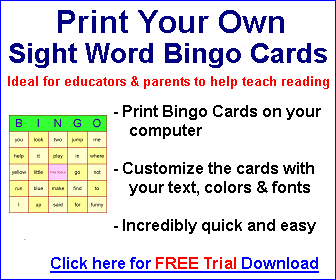 You can create your own HTML code linking to this URL, or you can use one of the ready-to-use links below. In the case of banners and other images, please do not make copies of the image (e.g. do not copy banner images to your web server), unless you have contacted us and got permission first. Please note: It is your responsibility (and at your own risk) to ensure that any paid advertising that you do is profitable for you. If you do not have experience with this type of advertising, we recommend that you start in a small way (to minimize your risk), and perhaps also read a guide such as: Adwords Riches or these Pay Per Click Resources. 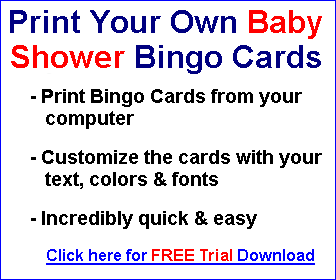 Click it to come to BingoCardPrinter.com site. Now start the order/register process as a test, by doing the following (don't worry, you will NOT complete the order, so you will NOT be billed). At Step 3: Enter any 6 digit user id number (for example: 123456) and your email address, in the spaces provided, then click OK.